John is the co-founder of Sweeney Todds and been a Barber for 34 years. 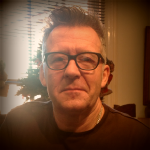 John’s specialities range from the very ‘alternative’ look to the very technical styles that many Barbers won’t attempt. He has also perfected the wet shave for those special occasions – the Grooms package he provides is apparently “legendary”. Jane is the co-founder of Sweeney Todds and has been a Barber for over 30 years. Besides working at Sweeney Todds, Jane has also worked in salons in London and Los Angeles. 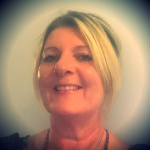 Jane is passionate about her work and particularly enjoys the range of people she meets. Jane sees Barbering as an art form. Sweeney Todds would like to introduce to you, our newest member of staff, his name is Kevin. 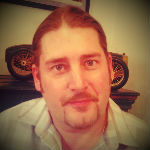 He has worked in the barbering industry for over 25 years. 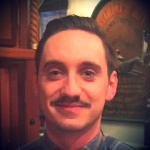 Kevin specialises in the very short sharp clipper haircuts that are very current, also beard shaping. He definitely likes to have a good chat when he is doing your hair. Diane has worked at Sweeney Todds almost as long as we have been trading. 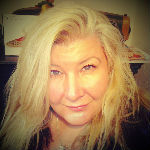 She specialises in longer hairstyles and is very good at hair colouring, if you like a chat you will love Diane. James is the youngest member of our team, he has been a barber for 5 years and is very accomplished in all aspects of barbering, but feels he really excels in the very sharp short fades that are so on trend at the moment. You don’t have to book an appointment as Sweeney Todds and we provide free parking for our Clients. Just drop-by for a quality hair cut or traditional shave.